If you find yourself searching for a relaxing place to escape to this summer, consider installing a landscape patio in your backyard. 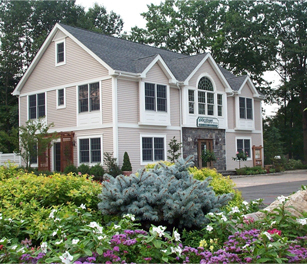 Whether you’re seeking solace from the maddening crowd or just want to enjoy relaxing with family and friends, we're the landscaping company in Bergen County that can transform your outdoor space into a personal retreat. 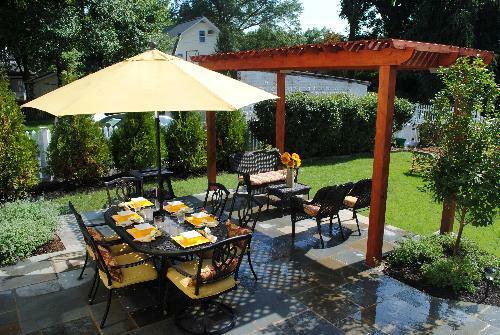 With more homeowners engaging in outdoor entertaining, installing a patio or "patioscaping" offers the advantage of creating a beautiful outdoor patio space without having to make a significant investment in remodeling. As you consider investing in an outdoor landscape patio, consider the difference each type of stone may have in the look and functionality of your property. Bluestone Patios: Despite their name, Bluestone Patios are available in many colors and styles, so the choice often depends on personal preference and budget. Both Natural Cleft and Thermal Bluestone have less surface imperfections than other bluestones and are resistant to weathering. Full Range Bluestone is a traditional choice that runs in Robin’s Egg Blue while All-Blue Bluestone features other blues, purples and rust colors. Rustic Flagstone Patio: This popular stone is available in Autumn Brown, Tennessee Tan, Antique Cloudy Grey, and Gold Dust. These stones are calibrated, cooler under foot, and a more cost efficient option. Travertine Patio: This dynamic patio material takes on luster when it's wet. This stone is available in many colors, including Scabos, Silver, Marble, and Noche. Quartzite Patio: Also cool under foot, this very popular stone for pool deckings. This material's unique texture provides it with a clean finish. Cultured Stone Terrace: When creating a Stone Terrace or Raised Patio, we often use a caste and dyed concrete stone. 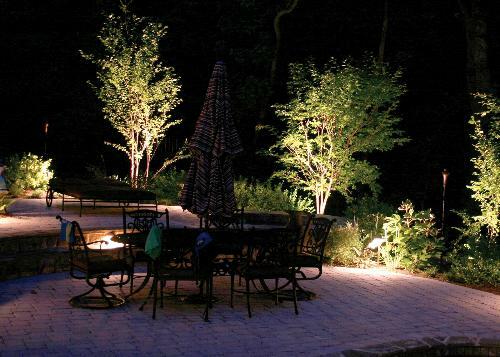 This material is optimal when installing wiring for landscape lighting, and is also economical. Paver Patios: The possibilities are endless when choosing masonry pavers for your paver landscape patio. 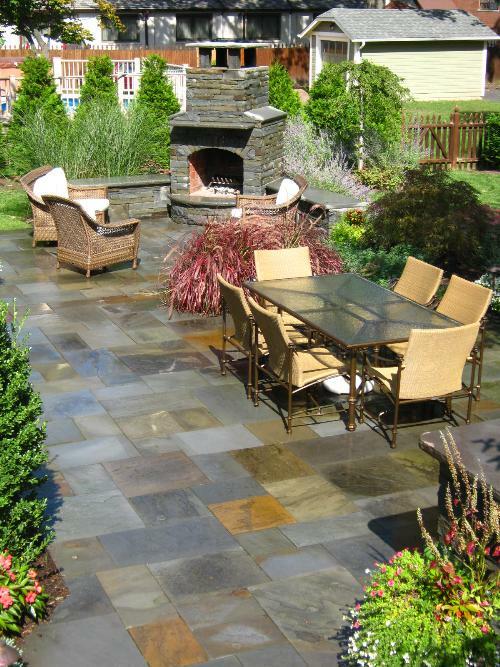 Whether you choose a natural stone, brick, or flagstone pavers, these materials will bring the patio of your dreams to life in your own backyard.